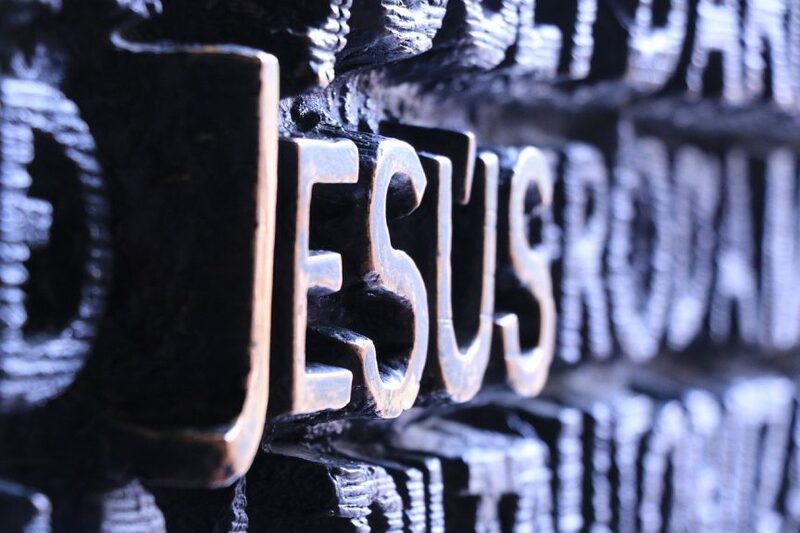 Blog What Makes Jesus So Special? The further and further down the ‘rabbit hole’ we go into discovering what New Age Christianity even is, the more and more important it will become for certain subjects to be clearly defined. No, I’m not talking about a “Statement of Beliefs” or some other immovable document that refuses to grow with us as a community. I’m talking about ideas and questions that often come up when new people join our community. Wouldn’t it be nice to have a link to share with them instead of having to say the same things over and over? I know it would be nice for me. Ok… so maybe I’m writing this post for my sake. So sue me! Who is Jesus to a New Age Christian? To clearly understand who Jesus is we must first understand WHAT Jesus is. In this opening thought of the Gospel of John, we are given a few facts about who/what Jesus really is. When most people think about Jesus, they think about the man who walked on this earth for roughly 33.5 years. While I certainly am thankful for that window of time, just think about it and you’ll realize there is a much larger context to His existence than what He did while He was here on this earth. For starters, according to John, everything came into manifestation (being) through Him. As if that weren’t clear enough, John adds that NOTHING came into manifestation from any other source. To this statement, one could ask, “What about darkness?” After all, the next sentence says that the Light shines in the darkness. Where did that darkness come from? John’s doubled-down statement that EVERYTHING came into being THROUGH Christ seems to suggest that even darkness was brought into being through Him. At this point, instead of writing a book about how this all works, I simply want to draw your attention to the fact that Jesus is WAY more than a savior. He is logic itself! And when you meditate on this for a while you will begin to see just how amazing it is that Jesus is the very core of the logic that all of creation is held together by. This doesn’t take away anything from His role as our Lord as Savior. If anything, it magnifies how awesome He truly is, and was, and always will be. Jesus is the King of Kings. Lord of Lords. Highest Son of God. Everything was created through Him and is held together by Him. He is the First of Many. That’s just it though… He is the First. The Best. The Highest. The Top. The Pinnacle. The Apex. The Zenith. The Superlative. The Crème de la Crème… and so on and so forth. He is NOT the ONLY. Not any more… Thanks to Him. When Christ showed up on the scene, He was the ONLY begotten Son of God. But John tells us that because of the work of Christ, we now have the right to be born of God… Just like He was. John 1:12 But as many as received Him, to them He gave the right to become children of God, even to those who believe in His name, 13 who were born, not of blood nor of the will of the flesh nor of the will of man, but of God. You are a King. You are a Lord. You are a Son. HE is your older brother. This is not to say that He is the “same” as you. That is easily understood by the fact that you are not even the same as your own siblings, much less a middle eastern man from 2000 years ago. He is the King of Kings. He is a King. You are a King. There is simply an order of authority in which we get to participate. This is not to be confused with the ever-so-common idea that He is “better” than you. To make Him “better” than you is just a copout that allows you to remain “worse” than Him. How do I relate to Him? What is logic really? Have you ever thought of it as a person? Have you ever even thought of it in detail? Have you considered that you’re using logic to even think about what logic is? If Jesus truly was ‘logic’ before He came to earth, and He was the first begotten of the Father, what kind of being does that make you? Logic clearly isn’t simply a created object. It is a powerful tool that holds your very mind in place. It was certainly begotten of consciousness (the Father), but it can’t be separated from consciousness either. Once again… Jesus is so much more than a dude. And yet, John says that we have been given the right to become begotten of God in the same image as Christ. It is here that I’ll once again skip to the end of a very long train of thought and propose that Jesus, the man, was an individual manifestation of the logical thought of God. Undoubtedly the most important thought in all of history, but nonetheless a thought of the Father (consciousness). Specifically, Jesus manifested the thought of salvation for all mankind. If this is true of Christ, could it also be true of you and me? We are specific logical thoughts of God manifested in the darkness. We are the light inside of logic. The spark that ignites with every thought God has. For those who aren’t all that interested in the deep philosophical explanations of Jesus, here is a simple list of what He is to a New Age Christian. Savior – He gave us the incorruptible seed of righteousness. To accomplish this, He planted an idea in the earth known as ‘salvation’. He planted this idea with His death and resurrection. Logic – Logic holds everything together. It is ruling and reigning until death is defeated. This is also known as the Knowledge of Good and Evil. Genesis 3:22 shows very clearly that one part of God has the Knowledge of Good and Evil, and we believe that to be Jesus (Logic). This is the mind of Christ. Ruler of All Sons – Because He is logic, the mere act of thinking places Him inside our minds. It is from this position that He will reign for all eternity. We are kings in our own right, but it is His mind that rules those who would let it. Manifester of All Things – Consciousness (the Father) is the originator of all thought, but no thought has manifestation without logic. Thus, God (consciousness) created everything THROUGH Christ (logic). This article (and all of the others in the “NAC Perspectives” category) is not meant to be a static declaration set in stone. We are unafraid of change and growth and the maturation process, and as such, we are confident in the love of God and His ability to love us even when we’re wrong. Some stuff in this article may be just that… WRONG. If so, we hope to find better understanding down the line. Until then, this is a good place to start if you want to know what NAC believes about Jesus. I’m not going to pretend that everyone in this community believes the same things. Heck, my wife and I don’t believe every little thing exactly the same. I dare say that this is actually a good thing, and how it’s ‘meant’ to be. So as I answer this question about who Jesus is to a New Age Christian, I’m not trying to force anyone to believe this ‘or else’. At the same time, as the founder of this community, my hope is that a majority of its members believe these things and that it is indeed a decent representation of what a New Age Christian believes. The reason I hope most of this community believes these things is 100% because the person of Jesus has become so incredibly important and precious to me as I’ve learned the truth about who He really is. When logic became flesh, it became a man known as Jesus. At the end of His earthly life, Jesus asked the Father to receive the glory He had with the Father in the beginning. Revelation 19:13 seems to suggest that going back to being “the word” was exactly what Jesus did. In other words… Jesus is no longer Jesus. He has gone back to be logic once again.